Tom and Fred have presentations to do. Tom will do his on the 8th and Fred will do it on the 10th. They both do it on the same month. However, Fred does his before Tom does. How is this possible? Tom does his on July 8, 1994 and Fred does his on July 10th, 1995. 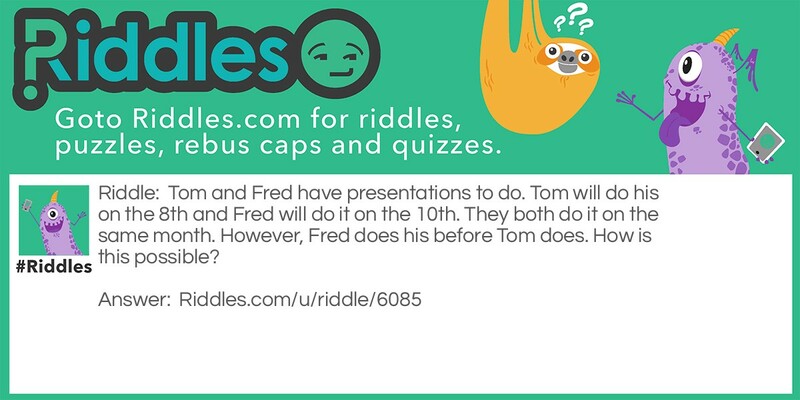 Presentation Riddle Meme with riddle and answer page link.